Put on the backpack and tighten the straps. 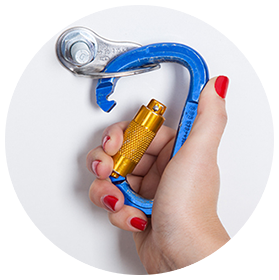 Clip the carabiner to the pre-installed anchor point. Descend through any opening and the unique braking mechanism willautomatically lower you to safety. Avner is the CEO and head of R&D at SkySaver Inc. He is an experienced engineer and system developer possessing approximately 30 years of experience. He co-founded Proceed Ltd. a company that developed systems for The Department of Homeland Security in the United States. Avner has a B.Sc. in Mechanical Engineering. Cobi is the COO at SkySaver Inc. He is one of the founders of the Safe Evacuation Coalition – a consortium of companies focused on bringing the latest high-rise evacuation technology to the market. A recognized industry expert in business development and innovation methodology. Baruch is the founder and Chairman of the Board at SkySaver Inc. He is also the founding partner of the GBM Group and a co-founder of the largest chains of discount stores. He has previously been involved in successful ventures with several Fortune 100 companies, including CBS, Johnson & Johnson, and Goodyear. Michael currently serves as General Counsel to SkySaver and possesses more than 25 years of legal experience. He manages the company’s diverse law arenas, including: corporate, trademarks, patents, commercial transactions, securities law, and taxation. SkySaver is managed and guided by a team of business professionals with decades of experience. We give the opportunity for both large and small-scale investors to join in bringing this revolutionary personal safety device to the world. SkySaver, together with its investors, have created a highly innovative product that aims to yield significant returns. 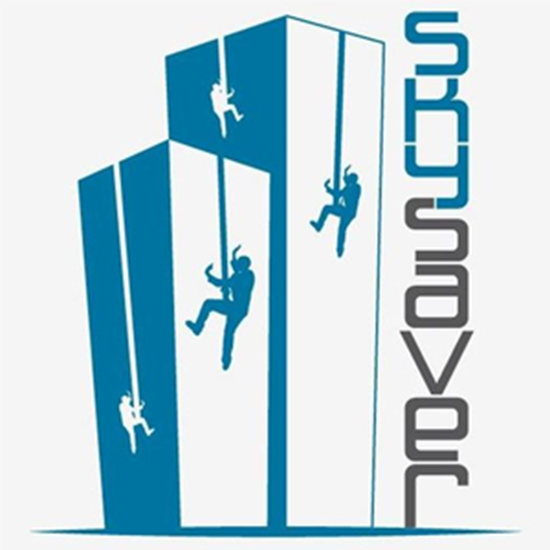 SkySaver’s international presence is supported by professionals in each of their fields, whose singular goal is to bring SkySaver to the forefront of high rise safety. SkySaver operates under a strict code of morals and business ethics. Our business expertise coupled with our unwavering commitment to morality is at the front and center of our corporate approach. We strive to provide investors, entrepreneurs, and professionals with the tools needed for success and prosperity, while conducting all of our business dealings with maximum transparency towards each party. Offer investors, both large and small-scale, the opportunity to earn high profits while providing them with regular updates on the status of their investments. Treat every human being, whether they are a supplier, customer, service provider, or consumer, fairly, with complete transparency, honesty, and integrity in every aspect of a transaction. SkySaver’s tested, certified, and world renowned rescue backpacks will give you the peace of mind of emergency preparation. 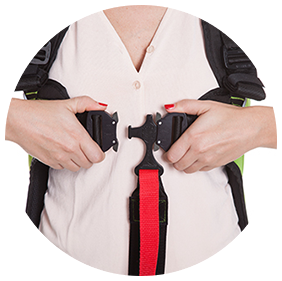 Each SkySaver product is individually tested to rigorous standards, and is constructed of lightweight and fireproof materials in the first ever backpack-integrated harness. This easy-to-use, life-saving innovation will allow you and your family to sleep much easier at night, knowing you are in safe hands.